HTC Vive I think the Vive will see a paper launch for $799 in April, with real availability not hitting before July. A second company will announce a SteamVR headset which will launch late 2016 or early 17. Oculus Rift The Rift will be a success for Oculus. It won't come close to console like numbers this year, but will sell 750Kish units by year's end. The Rift 1.5 will be announced as a 2017 product and will included minor tweaks/improvements/camera and will come bundled with Touch at the same 599 price point accompanied by a headseat only option at 499. Oculus will also partner with another cell phone company and expand the number of phones that GearVR is compatible with. Blizzard will release two Hearthstone expansions this year: another solo adventure mode and a new set of cards to collect. The adventure will be based on Karazhan while the new set of cards will be based on Northrend. Expect lots of freeze cards and a new card type - Dragonkin. We got one expansion (Grand Tournament) and two adventures this year. I was wrong about the theming. Bethesda will release Skyrim Remastered for the PS4 / Xbox One in the fall, featuring high rez graphics. It might even be running on a new engine (codenamed Fallout 4). Sony will revive its relationship with Steam and offer Steam Workshop support for a selection of games. Microsoft responds by allowing official mod support for Minecraft - on Xbox One of course. One major online gaming publication will close this year. Unfortunately Joystiq closed early in the year. I'm not happy to be right about that. The Vita will not get any games announced for the US for 2016. Somewhat of an exaggeration. Metacritic lists 45 games for the Vita for 2015. Sony will show off some crazy technology at E3. Gamers not impressed. Sony's E3 conference was all about the games, so that's a loss for me (but a win for gamers). Rise of the Tomb Raider for the PS4 is called "The Definitive Edition," and Sony puts significant marketing behind it. No Man's Sky is great. One of the three toys to life video games (Skylanders, Disney Infinity, Lego Dimensions) will not release a new product line in 2016. They have oversaturated the market. Studios will continue to put out remasters, including Skyrim, Red Dead Redemption, and Dragon's Dogma. Sony ends their E3 conference by announcing the Morphius price: $400. Mike drop. I'd love a remaster of Dragon's Dogma. I didn't get to it last gen.
* Valve will officially announce a new game. It won't be Half-Life 3. It will be compatible with VR, but VR won't be required. * Playstation VR will get a quick lead on the competition, and Vive will trail behind. Oculus will have a vocal cult following, and fans of it will be pissed off that it's not as popular as Playstation VR. * Nintendo's new account system will work fine for purchases made after the system goes up, but will screw over people who made purchases up until then. * Rocket League will gain in eSports popularity. By the year's end, it will be neck and neck with CSGO. * Nintendo will be more involved in the mobile market than just games. Their new OS for the NX will be Android based, and they will release a phone with the same OS. You will be able to stream games from the NX console to your phone. Your phone will act as the Wii U gamepad for the Wii U backwards compatible games. * Telltale Batman will be great, 9/10s across the board, but people won't play it after feeling both Telltale and Batman fatigue. 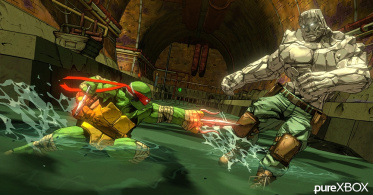 * Rocksteady will announce that they're working on a completely original IP at E3. * There will be a tragic accident that happens while somebody is using a VR headset, and the news media will blame the technology. There will be a huge backlash against it. There is a PC release of Dark Arisen today. Maybe it'll happen? Much hyped/anticipated games - No Man's Sky, Uncharted 4 and Dark Souls 3 - fail to impress. Averaging 63 on Metacritic. Much anticipated game, The Last Guardian, is delayed until 2017 as the game is fundamentally redesigned. Sony announces that it is ending production of the PS Vita. The shipping of new units ceases in December 2016. Sony and Occulus release their VR systems, Morpheus and Rift in October 2015 with high price tags and a dearth of compelling software. Sales are disastrously poor for both. Nintendo's NX turns out to be a set of cloud-based gaming services with a bespoke interface device, rather than a conventional console. Quantic Dream release a good game. Nevermind a "remastered edition"; I've been waiting more than 5 years for just a PC port of RDR. I finally gave up hope on that a couple years ago. That said, if Rockstar wanted to surprise me (and lots of other people), a remastered edition release on PC would be great. Who is Mike, and what will he be dropping? It's a command, clearly He was telling his buddy Mike to drop. Mike will be dropping himself. This could get deep and philosophical. Console gamers grumble about shelling out $60 for a second controller or $100 for a Kinect. I can't imagine that they'd be willing to spend more than their console costs on a VR headset. $400 would be a mic drop moment, sure, because the conference was over and they chased off their audience. Isn't the issue with RDR that the code is being held together with string and duct tape? I recall reading that it's a miracle that game even works due to the working conditions. Nintendo will be on stage at Apple's Spring iDevice press conference this year. Nintendo's apps & games launch first on iOS. Considering how many people balked at the PS3's $600 price tag and the iPhone's $600 initial price limiting early sales I really think somewhere around $400 is an upper limit for most consumer electronics. And that's for multi-purpose things, not specialized electronics like VR headsets which won't be used with everything. I don't think they can make it much cheaper than that though. The device has a 1080p screen and a 140Hz refresh rate (and it needs to be able to hit a consistent 90+ FPS) in addition to being able to run the main TV screen. Either games on the thing are going to look terrible or the Morpheus will likely have an additional processor built into it. At that point they're essentially selling a mid-high end smartphone built into VR goggles and the $400 price point starts to make a lot more sense. If PS VR stands any chance it is that some enthusiast early adopters will grab it, and then they'll show their friends that also have PS4's and some of those folks may purchase one as well. I don't think Occulus Rift has that advantage because, while several friends may possess a PS4, I think far fewer would possess a PC capable of running Occulus' requirements, let alone budget. That's what I'd count on for VR at all having a chance of making it mainstream as opposed to going the way of niche peripherals such as joysticks, steering wheels and dance mats. At best, VR might be the next Wii. In order for that to happen, I believe PS VR has to be at or less than the cost of the console. If it's more, they've locked in niche permanently. I think far fewer would possess a PC capable of running Occulus' requirements, let alone budget. Right, I've seen 1% of "gaming" PCs bandied about as being "VR-ready" (also mentioned in this Digital Foundry article) and Oculus has already copped to this fact as being their biggest roadblock. The headsets are expensive and you need a beast of a system right now to properly drive them. This is a far cry from the last few years where you could throw $500-600 at a new PC and end up with something on par of slightly better than a console. A lot of what's also driving the VR interest is sheer unadulterated marketing up and down the supply line. Outside of Apple, PC shipments have been trending downward year after year which probably has many manufacturers scrambling. Stagnation in CPU and GPU tech over the last 5 or so years isn't helping either as there hasn't been a real incentive to upgrade components aside from upgrading a GPU for the odd big budget release like Witcher 3 or throwing an SSD in the box. And you know it's bad when Nvidia spends a good portion of their last two CES presentations talking about autonomous cars instead of their bread and butter GPU tech. I also wouldn't be surprised if most of the system builders redirect their marketing away from Steam Machine form factors and onto the VR market, as I feel like Steam Machines were a bit of a dud due to the controller being so late to market and the mixed reaction to the controller in general. Plus I wouldn't be surprised if the margins are better for higher-end machines, so all the more reason to refocus their efforts. EDIT: On the upshot, the move toward 4K displays works nicely with the requirements with VR. So eventually the minimal hardware spec for baseline VR tech will eventually become affordable. And I'm sure display manufacturers are happy about the VR push because it means they'll have an available audience to market new monitors towards regardless of a VR boom or bust. On the other hand, I think we're going to see rapid evolution of the headsets for VR, especially considering we've seen 3 iterations shipped in 4 years. That Oculus you're buying this year? Completely obsoleted by 2018's model which will have higher resolution, a lighter chassis, better tracking, etc. and will... you guessed it... have higher PC requirements. Facebook paid top-dollar for Oculus for the two revenue streams that come with it. One is the software marketplace, the second is the people who are going to splash out for the new Rift every other year. Valve will port CS:Go to Source 2 this year. Still won't make a game with the number 3 in the title. I think the appeal of VR is very limited, but for those who are interested a PS4 and $400 peripheral is more accessible than a suitable PC and an Oculus. - I don't think it comes out this year but just in case, Stellaris will be a disappointment. Not a MOO3 disaster but more like Total War Rome 2. - There will be a major match-fixing scandal at one of the big Dota2 or LoL events. By "big" event I guess I mean one of the 4 big tournaments for either game. 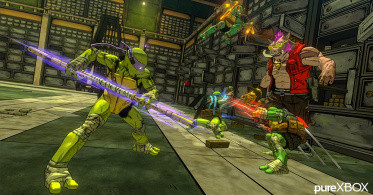 Why do the Turtles have over-stylized lightsabers? 1- increase in violence for games. Think Django Unchained or Robcop. 2- smart phones as controllers. Left & right analog stick virtualized on smart phones. Official apps from Xbox, Sony, Nintendo, Steam, etc. Allowing users to bounce between controller mode on the phone to text mode sending in game chat. I predict that thanks to their collaboration with DeNA, Nintendo will finally have an account system that people can understand. That people still think purchases are tied to hardware is a complete failure on their part to both clearly articulate their account system and to make it user-friendly and intuitive. 2- smart phones as controllers.